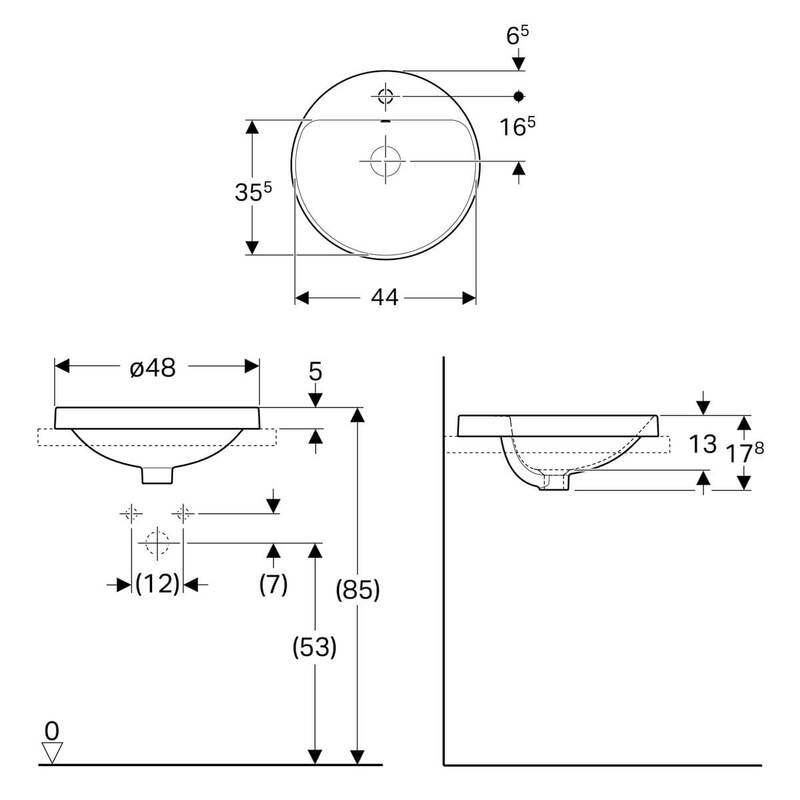 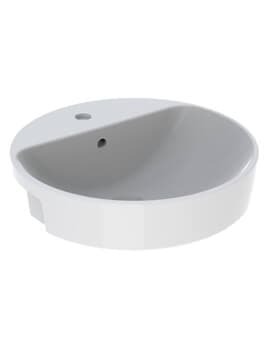 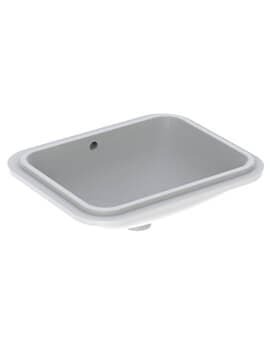 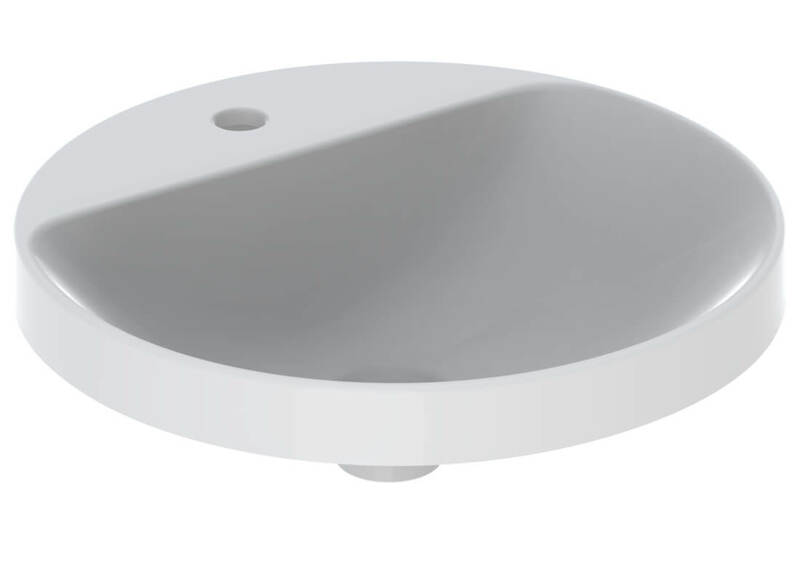 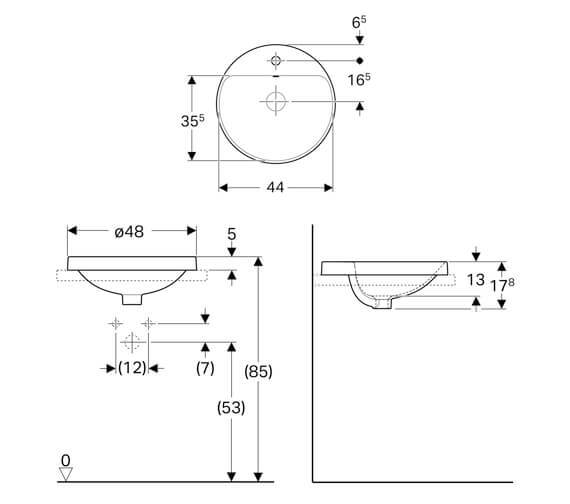 The Geberit VariForm 480mm Round Countertop Washbasin with Taphole Bench is available with or without an overflow and is suitable for mounting in washtops. 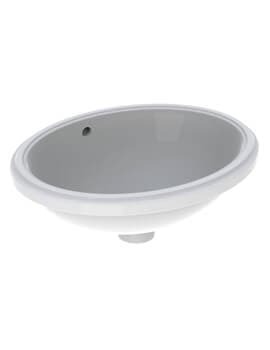 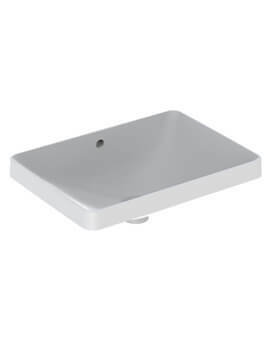 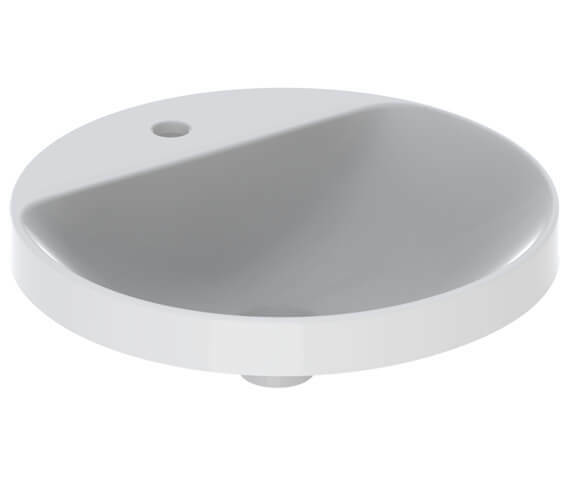 Manufactured from vitreous china material and offered in a classic white finish, this unit comes in a sleek and perfectly round shape that is unlike other basic models available on the market for purchase. Designed with a tap hole bench with 1 available tap hole included on it for use, this product can also come with several optional pieces including a connector clao, waste, bottle trap and fastening material if desired.